We’ve had a good few nice days and even the sun dresses have shown their face! But in general, every summer, I always rely on certain items that are timeless and never date! 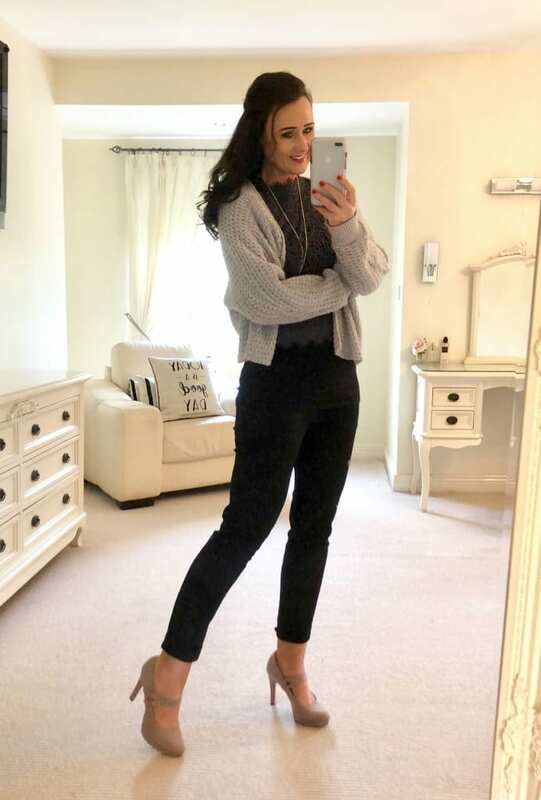 As you all know, Im a huge fan of a capsule wardrobe! There are 3 types of CAPSULE WARDROBE! The first is a MAIN capsule wardrobe, that is multi seasonal! Items that can be used throughout summer and winter months! Good timeless items you can always rely on and always have something to wear! The second is a WINTER capsule wardrobe, which consists of heavy knits, warm outer wear and boots, all of which work in harmony with you Main Capsule Wardrobe! And the third is a SUMMER capsule wardrobe, which is what I’m focusing on today! 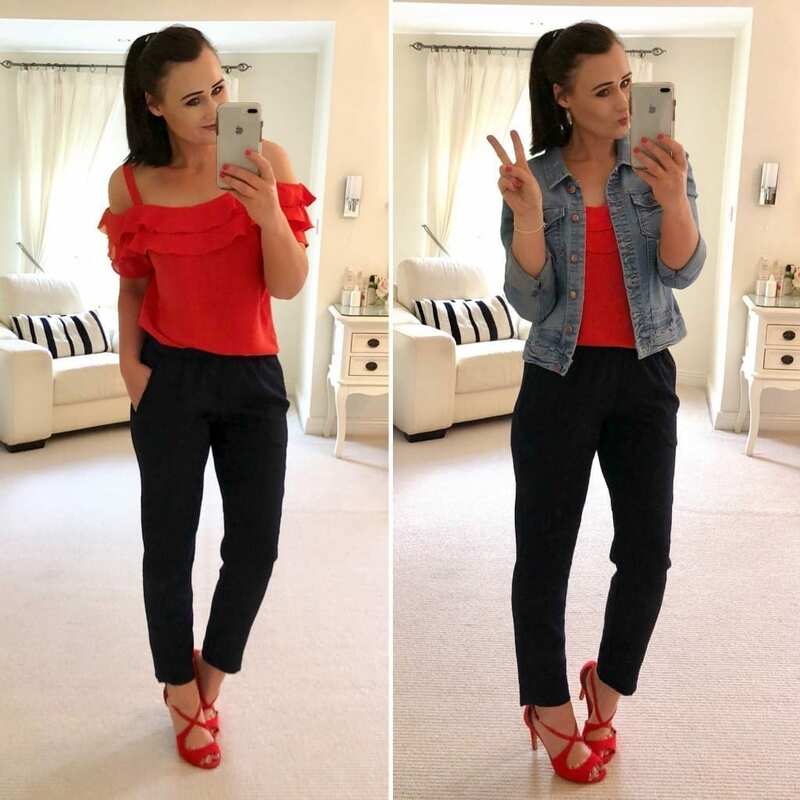 Every year the same items reappear in my wardrobe come early spring and to be honest, I could never live without these items in the summer months whether home or abroad! So here are my summer essentials that I can’t live without! OK, so as many of you know, I am a bit leg conscious! Im a classic Pear body shape and as an Image Consultant it is all about enhancing the good and disguising the flaws. So a maxi skirt is great for this! It’s something I’v always had and love, and hides those knees! They are fantastic for hotter days at home or abroad! I love the jersey fabric ones! They are so comfy and easy to wear! And they go with petty much every footwear! A lot of petite ladies avoid maxi skirts but actually if it’s in a block colour and is in a pencil jersey style it can actually elongate you! They are fab with wedges but equally amazing with converse or flip flops! I always buy good base colours like black, navy, grey or khaki because they go with most colour tops! 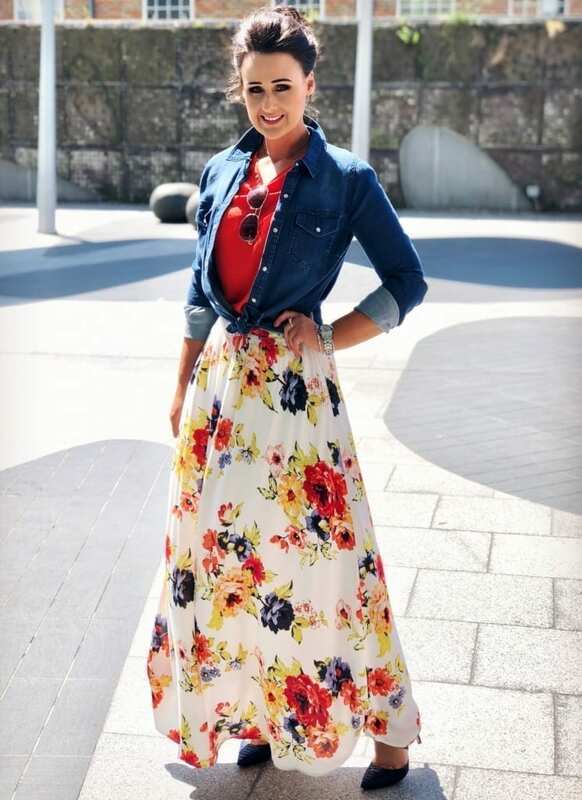 Great places to buy nice maxi skirts are H&M, Vila, Twirl Boutique Newbridge, Secret Kloset Kilcullen, Mary Grant Newbridge and sometimes even Tesco! Now, Im a girl that likes a bit of height! Don’t get me wrong, I still love my flip flops, converse and flat sandals but I will always go for my wedges first. My favourites are my black Tommy Hilfiger ones I got in the States but I also love my navy Penneys ones and Tesco black ones. My Penneys ones are 2 years old this summer are have still stood the test of time! Other great places to buy wedges is Dune London, Marks & Spencers, Pavers, Penneys, New Look and Debenhams. Everyone needs a little Denim Jacket for a spring/summer capsule wardrobe! Its the most used item in my wardrobe this time of year whether home or abroad! Often used for traveling in, wearing in evenings over dresses while abroad when it gets a bit chilly but more often just used on a daily basis as a cover up at home! Lets face it, we live in Ireland and our strapless/sleeveless days are few and far between! So a light, soft, waist length denim jacket is a must! 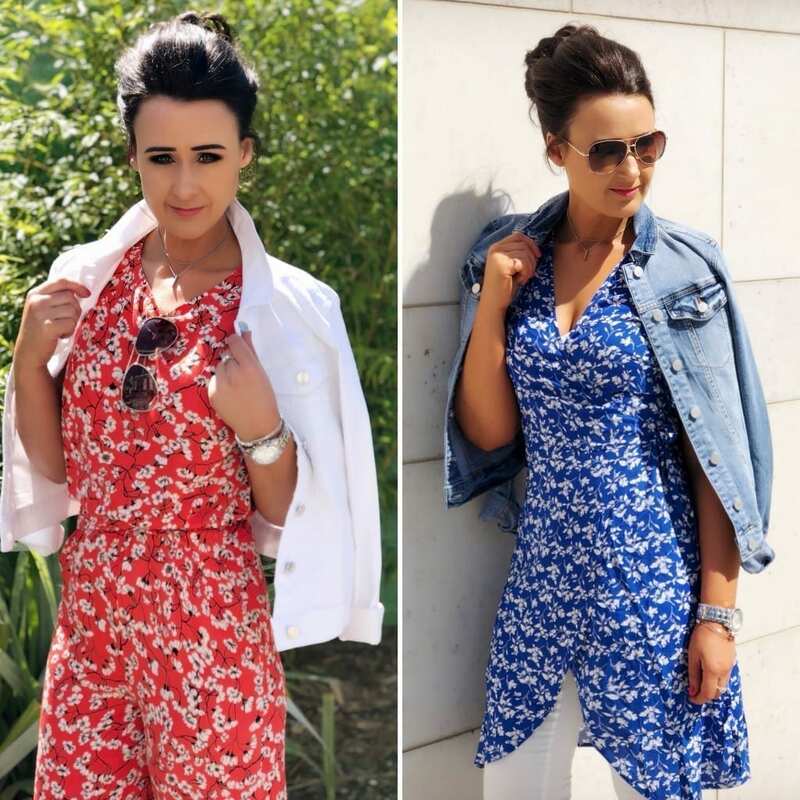 Perfect over sun dresses or skirts, turned up collar and you can pull off a really effortless look that always looks well and can bring you anywhere! It’s an item that never dates, will never let you down and will come out year after year! Great places to buy denim jacket are H&M, Vila, Oasis and New Look. Now I’ll be honest! These are brand new to my summer essential list that I will never be without! Being a Pear shape, I find it very hard to get flattering cargo trousers! 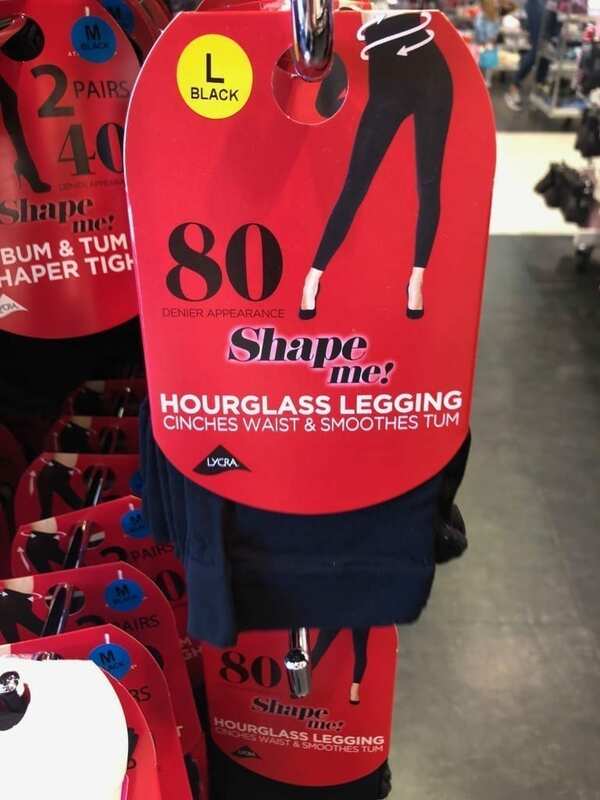 I find they are always too tight on my thigh and if I go up a size, the end up massive on my waist and bum area! Most of them are very masculine and ugly. So a little tip when looking for summer cargo trousers that are flattering on a woman’s body shape, look for a little stretch in the fabric! It makes all the difference and less masculine looking! Another fantastic store for cargo trousers in a variety of colours is Vila Clothes! Now these are not necessarily for when Im abroad, but definitely while I’m home here in Ireland. I love the little short sun dresses and tea dresses but I don’t love my knees! But by wearing the black footless tight means I don’t have to eliminate them from my wardrobe and I really love the look especially with wedges and wrap dresses. REMEMBER – Don’t change to suit fashion, change fashion to suit you!! And you will often see me with a Maxi Dress on with the same footless tights! WHY!! Because I just love that type of look! Not because I need to hide anything! Its just another cool way to wear a dress. I wear my Zara Shirt Dress open to the thigh with my footless tight and love the way it looks! This is one of my favourite pieces in my wardrobe. Once you put on a shirt dress and choose your footwear, you are dressed from head to toe in a classic, simple, elegant look that honestly can be dressed up or down! Iv worn mine as a coverup be the pool while on holidays. Iv also worn it with strappy heeled sandals, statement belt and clutch bag for a night out! So they are my six essential basis items that I can not live without during the summer months. Six very simple pieces, but by simply adding nice accessories, plain t-shits or blouses, outfits are very easily made up to accommodate any weather. Remember, don’t over think an outfit, sometimes the nicest outfits are made up of the most very basic items. Thanks for taking the time to read my lovelies and I hope its been helpful! To get more summer inspiration looks come follow me on Facebook and Instagram!